n0thing.TV is the personal website of eSports athlete Jordan Gilbert, a professional Counter-Strike player from the United States. 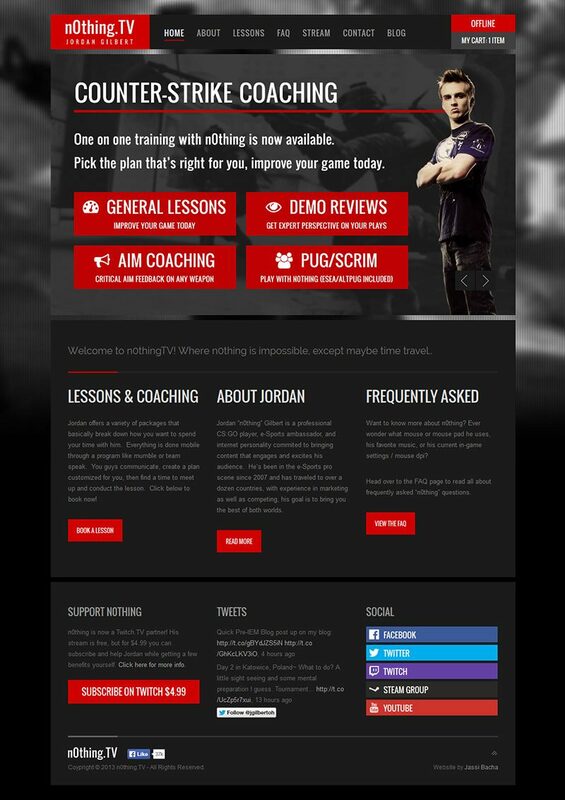 Jordan was looking for a ‘one stop shop’ where fans and supporters could go to find out more about him, watch his live streams, read his blog updates and book lessons. The end result was a responsive WordPress website with WooCommerce integrated to handle all the lesson bookings, it also features several custom additions in the back-end to help him add/remove Sponsors on the fly.